Posted by Barbara Prime at 2:04 p.m.
June 4, 2010 at 2:25 p.m.
Oh soooo cute! Can't wait! June 4, 2010 at 4:23 p.m.
Ah, yes. Now, if I'm right, the bathing suit is ironic. Whatever the species, the FACE is WONDERFUL!! June 4, 2010 at 6:56 p.m.
June 4, 2010 at 7:40 p.m. Darling! And I love the bikini! June 4, 2010 at 9:27 p.m. Very very cute! 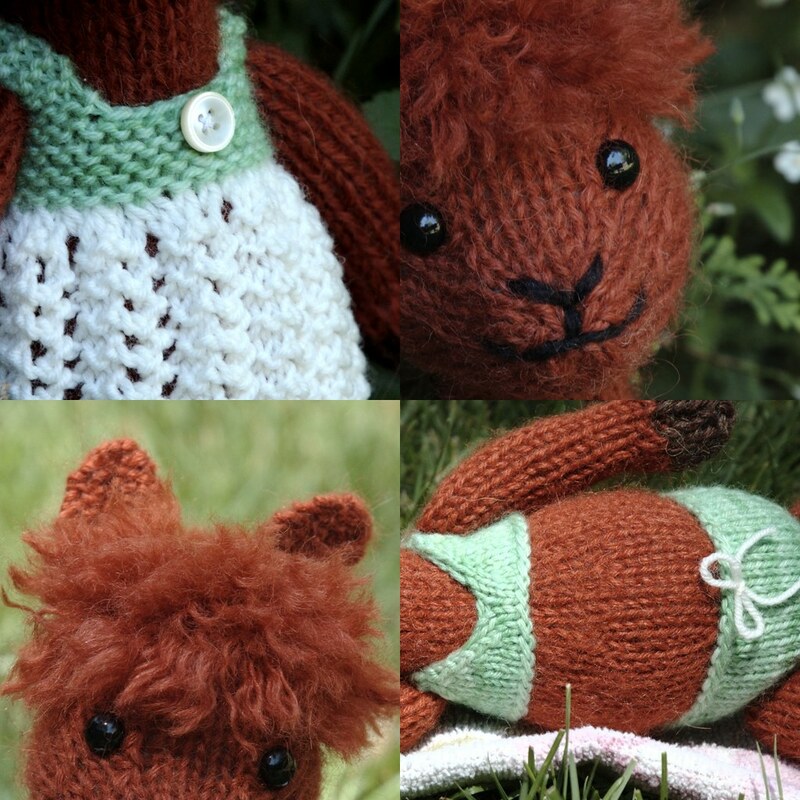 I'm also guessing alpaca but with that face it would be so easy to change it up a little into a horse or a giraffe. June 5, 2010 at 1:36 a.m.
Too cute! I'm looking forward to the test knitting being complete so I can get my hands on the pattern! June 6, 2010 at 12:34 p.m. So incredibly cute! I can't wait for the pattern to be released! My guess would be an Alpaca as well. June 6, 2010 at 3:13 p.m.
June 6, 2010 at 10:48 p.m.
June 8, 2010 at 12:16 p.m. Very cute...I am saying Giraffe! June 8, 2010 at 10:28 p.m.
Love, love, LOVE the bikini!!! June 9, 2010 at 12:20 p.m.
June 10, 2010 at 11:53 p.m. If it was grey I'd guess bedlington terrier like the one laying at my feet. Instead I'm guessing a sweet Alpaca. June 18, 2010 at 1:51 p.m.